Gamer Connect is here! 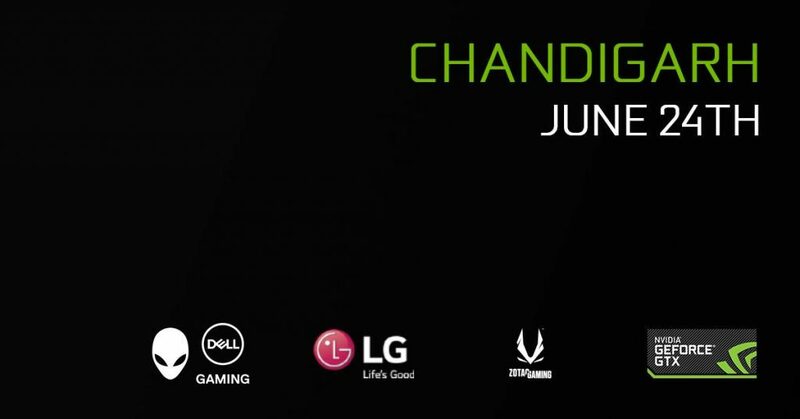 Hosted by NVIDIA India and Partnered with Dell Alienware and LG, Gamer Connect’s latest chapter goes to Chandigarh in their efforts to bring together the Indian gaming community. Gamer Connect brings you a day full to the brim with things the gaming community loves. Showcase games of some of the best and newest content in the gaming space, the newest toys a gamer can pick up, and some pretty cool cosplay. These are just a few of the things that gamer connect promises to bring you. A few of the showcase games this weekend include Playerunknown’s Battlegrounds, Final Fantasy XV, Fortnite, COD: WWII, Sea of Thieves, A Way Out, Project Cars 2 and Rainbow Six Siege. Gamer connect promises to have many booths for the tech enthusiasts in the gaming community, and aims to have something for everybody. Alienware laptops are going on display with interesting purchase options as mentioned on the gamer connect Facebook Page. For the build enthusiast XRIG PCs is taking the floor with their customizable builds and carving their own niche in the Indian PC market and as seen on their YouTube are always super enthusiastic to answer your questions. Zotac while known for their awesome peripherals is bringing their Mek1 to the show, and after we’ve tested it in the LXG Bangalore cafe it’s a must try for gamers as it is a very powerful interior with sleek exteriors. If you haven’t seen the difference the refresh rate on your monitor can make while playing FPS shooters, the LG displays will definitely change your mind and show you how you can take your game to the next level. An exciting offer that’s been announced on the Gamer Connect Facebook page is a boon for gamers everywhere with Corsair hosting a flash sale and slashing prices for purchases made at the event! So what are you waiting for, Chandigarh Gamer Connect is going to be a haven for every aspect of the gaming community! Make sure to head on over this weekend to be a part of the action!